The third Friday of the month is almost upon us. It’s time for another fantastic gay and lesbian happy hour! G3 August 2018 will be on the 17th of this month. 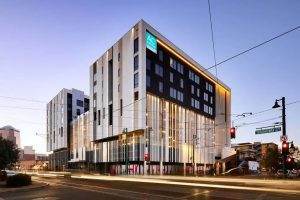 It will be the first Tucson G3 at the brand new AC Hotel by Marriott in Downtown Tucson. This modern and stylish hotel is the perfect backdrop for Tucson’s most exciting night out! I have so much to tell! 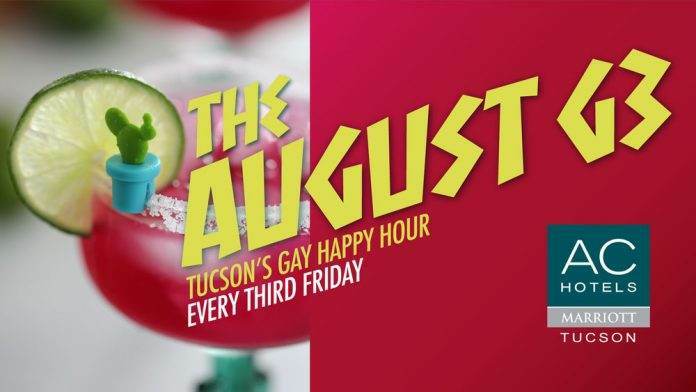 The site of this month’s gay and lesbian happy hour will be at the AC Lounge. An art-deco inspired bar awaits you but that’s not all. Also awaiting your arrival are delicious craft beers and unique Southern Arizonan mixed drinks. Per usual, our friends at Tucson G3 have thought of everything; where to park, how to get in. As to the latter, we’ll have a special secret entrance that’s only available to us insiders! The entrance is located on the corner of 5th and Broadway. Usually, the entrance stays closed for everything but the most fabulous guest lists. As for Downtown Tucson Parking, the AC Hotel is happy to offer valley parking. Also, you are free to use any one of the numerous multi-level parking structures strategically located throughout Downtown Tucson. Or try this, find a free parking spot in the Mercado District and ride the SunLink (Tucson Light Rail). This provides effortless travel throughout the night while securing your care in a safe, comfortable neighborhood. Beyond the amazing spirits, the AC Hotel by Marriott Downtown Tucson puts you right in the middle of the action! A quick stroll across the street from the AC Hotel by Marriott and you’ll find PLAYGROUND, a swanky two-story nightclub pumping out the best hit music. Feel free to continue on to 4th Avenue. The entire Tucson nightlife is out before you. I encourage you to take a bite and see what possibilities might happen! If you haven’t been to Downtown Tucson recently, this is your perfect opportunity to see everything that’s changed. Every excursion into downtown Tucson brings with it incredible surprises and amazing experiences. I hope I get to share this next experience with you! I’ll see you at the next exciting gay and lesbian happy hour, G3 August 2018! 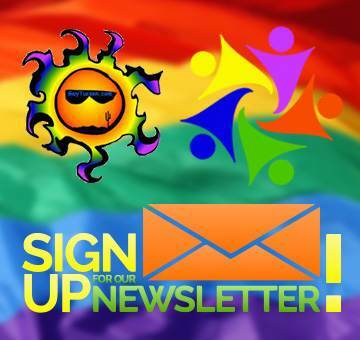 Learn when to head to the AC Hotel by Marriott for the August G3 in the Tucson Events Calendar!